WATERLOO, Ont. 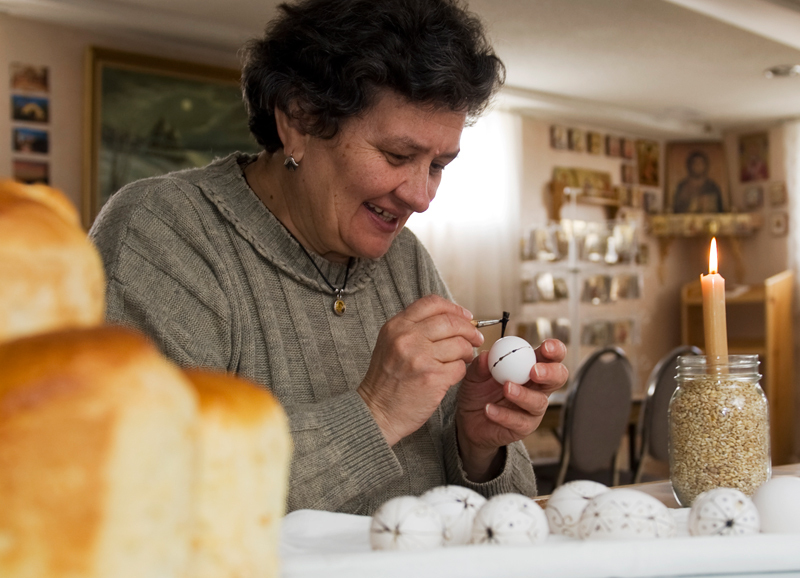 (14/04/11) -- Daniella Velykapolska paints easter eggs with hot wax in preparation for colouring at St. Sophia Ukranian Orthodox Church in Waterloo on Thursday morning, April 14, 2011. Shannon Storey/Record Staff.